Who are The Move Team? 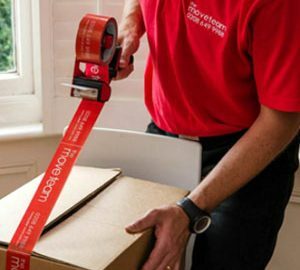 The Move Team is a well-established, family-run, removal company based in London, offering competitive rates and an excellent service to both individuals and businesses alike. The Move Team aim to provide an outstanding customer service and make sure that your move is their priority. What services does The Move Team offer? Our fleet of 3.5 tonne vans operate seven days a week and send out well-trained, professional drivers to help you with your move. We even help with loading and unloading your items as it is included in the price. We charge by the hour as well as offering discount rates for larger removals packages. We offer optional insurance for your move up to £50,000 We’re a flexible moving company and can book you in with a few days notice or even on the day. On top of this, our dedicated call centre staff who oversee every aspect of the job right from the quote through to final delivery are always there to help and advise. Our operations allow us to transport goods across the whole country at competitive rates. Storage is also something The Move Team can help with across the UK. How can I contact The Move Team? For all your collection, delivery, removal or storage requirements, you can speak to one of our friendly team members on 020 8649 9988.Or you can complete an online quote form by visiting the contact page on our website. Once we receive your quote, one of our staff members will call you back at a time that is suitable for you. Where else can I find The Move Team?